Last year was hard for me. I ran a half-marathon in October, but getting there was tough. I had bursitis in my hip from stupid things I’d done to myself the previous summer, so training was slow, steady, and careful. One thing I try to track is my summer-to-summer progress in terms of running. Take last year to this year, for instance. With my hip injury, I had to stay pretty inactive. 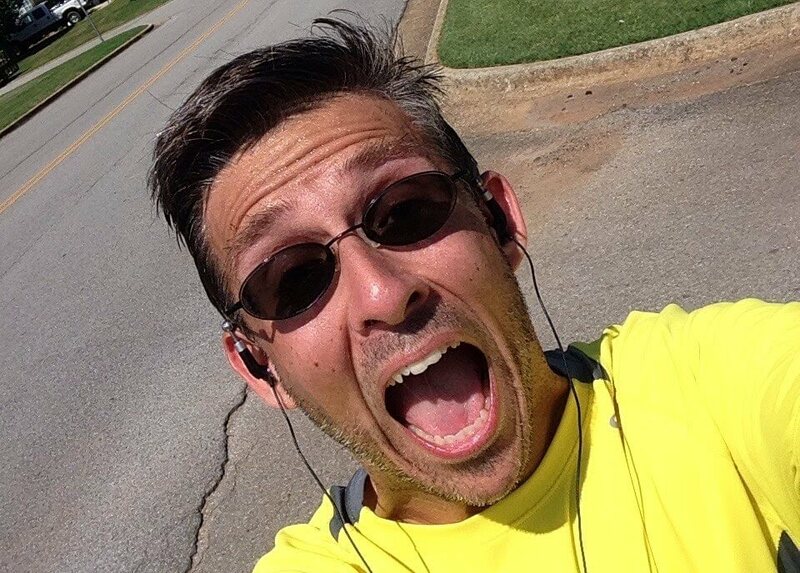 So, for example, on June 4th, 2014, I ran 2 miles. This year, on June 6th, right at one year later, I ran 10. I am stupidly proud of myself. But it took a lot of hard work and discipline to get there. Instead of slacking off, I kept it up during the winter. I have finally figured out how to take care of myself during the off season to really maximize training during these kinds of cycles. I cycled, and I walked. I kept running shorter distances when I could get outside, or I hopped on the treadmill when I couldn’t. I even did a two runstreaks (a 7-day and a 60-day one) to keep myself motivated. And now, I’m 8 miles up from where I was at this point in training last year. Which means that at the rate I’m going right now, I can easily hit the mileage I need to do the marathon I’m looking at in October. We’ll see if it happens, but it’s not out of the question at this point. The reason I am saying this, though, is that I had to make time for it. I had to make sure I went out and did something. Some days, it wasn’t much. Some days it was a lot. It didn’t matter. I found my routine, and I kept it. This works for my author stuff, too. Some days, I write a lot. Some days, I outline. Some days, it’s editing and formatting. And on yet other days, I work on mostly promoting the books and try to get new email subscribers. But I’m doing something to further my goal of making a living from writing fiction. Pretty much any kind of progress you want to have in your life is precipitated on you having enough discipline to work at it. Not work too hard, and not to make yourself miserable. But just making regular time to work on it. If you do that, you’re going to see progress. I learned my lesson on giving up. I dropped the ball on my indie author career, and I’m working to fix that now. I finally stopped being lazy during the winter and did real recovery/cross-training, and I’m running 10 miles instead of 2 like I was last year. All it took was my being willing to sit down and put in the time and effort. That’s it. It’s still hard work. It’s still taking time and effort and energy. Not a bit of it is easy. But I am so much happier right now than I have been in years, and that counts for a lot. I can trace it all back to being disciplined–and finally giving a damn. What about you? What projects or training do you need to buckle down on? that is awesome keep it up!!!!! thanks for the tip, don’t work TOO hard at something, but give it the right amount of work hours, and you’ll see productivity and results!